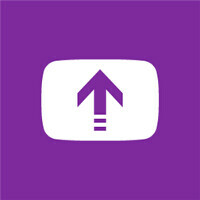 Nokia has launched an app that will allow users of its Nokia Lumia phones to upload videos to YouTube. The 1MB download is free, although right now is seems to work only on the Nokia Lumia 1020. It could be an exclusive for the new Windows Phone 8 flavored camera-centric model. Except that the description of the app mentions that it works for "all videos shot on Nokia Lumia phones with Windows Phone 8." Another possibility is that the app requires the GDR 2/Amber update. In that case, since that update comes out of the box on the Nokia Lumia 925, it should work on that phone. A third possibility is that the app is being rolled out in waves. If you're a Nokia Lumia owner and have been able to download the app, let us know by dropping us a comment in the box below. "This app helps you to share your videos quickly and easily with your friends, and works for all videos shot on Nokia Lumia phones with Windows Phone 8. 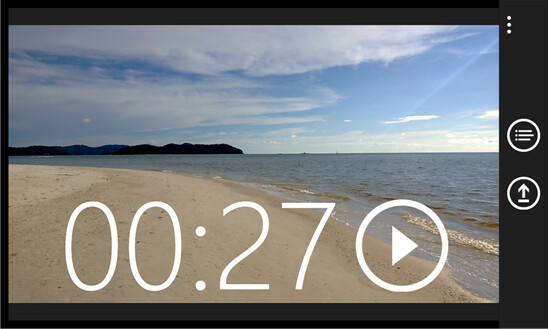 Simply select the video in the Photos app and share, or upload after capturing and trimming with the Nokia Video Trimmer through share option. Share your video over Wi-Fi or a mobile data connection, but be sure to check your network operator’s data charges first." How many YEARS has android/IOS/even feature phones had this funtionality? Last time I checked, ZERO years. if nokia is going to do everything... for wp then what microsoft is supposed to do what are they doing.. ?? i hate microsoft. what ever they are earning its because of NOKIA... I think it should be called Nokia's Windows not Microsofts.. I prefer Android to all others currently in the market but I'm no fanatic of it: I'm a fanboy YES! but I'm the true sense of it. Seems like we tend to forget a lot. There's an OS out there that we all agree is outdated but hey! it was once the pacesetter and is still unchallengeable in certain areas. My Nokia 603 currently running Nokia Belle FP2 can beat every Android phone not there, the ones running the just released iteration inclusive when it comes to multitasking. Permit me to say that Symbian is the multitasking king of all mobile OSs. Android will soon set a record once Samsung or LG outs a smartphone driven by 3GB of RAM he we are to go by recent rumours but believe me, that will still not give you a great multitasking experience. Let's just remove prejudice in our comments and make web forums a good place to share views and opinions and not where to offload loads of BS. Microsoft really needs to hurry up the developement of Windows Phone, i hope they read this becouse i love the OS but i'm getting tired of it, hurry upp !!!! Nokia is doing more than you do ! They make great device's + are making software for Windows Phone, how much more money do you have Microsoft you can't tell me you aint got the time for your own platform .... Best regards! Great app. My Lumia 925 gets the same error message, not yet available. Guess it's a 1020 goodie for now and will be released to its lesser brethren soon. I don't really upload videos to YouTube. Heck, I don't even have a Google account, but YAY! Another awesome app from Nokia! Damn you MS! Does Nokia have to do everything?